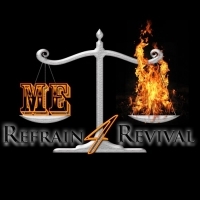 We are doing what we call Refrain 4 Revival. Sign up for your day to pray and fast for our community with the calender at the back. We are calling it Refrain because you can fast anything you want from food to television to internet and social media for the day. Whatever you need to give up to create more time to focus on God for the day and pray for our fellowship, our community and all of us to make God a higher priority. That is what Revival is! Some one has been praying in our fellowship every day since October, 2015! If you have questions, please contact Pastor Randy about this anytime.